Google Experience Launcher is available on the new Nexus 5 smartphone and also in the Android 4.4 Kitkat updated devices. Some well-known feature of the New launcher are Google voice commands like Okay Google and Google search. To know more about the Google voice commands read our previous post here List of Google Now Voice Commands “Okay Google”. If you recently updated your device with the new Kitkat OS or bought then new Nexus 5, then you can enjoy this launcher on your device. But the launcher isn’t very customizable, removing and adding homescreen is a pain, Grid size options are non-existent. Ans most of the android users are not happy with this, they want to make some customization in the launcher. 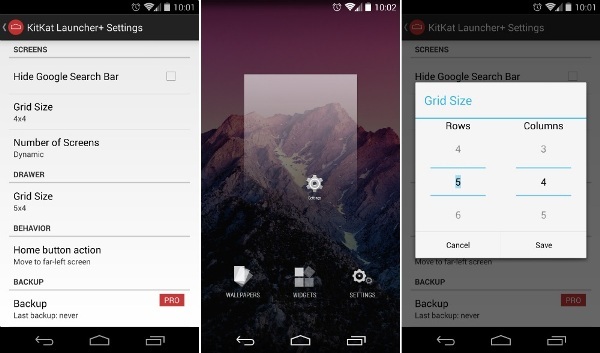 KitKat Launcher+ is the new application in the Google play store. With this free launcher, users can customize the launcher very easily and do lots of changes like Grid size, Home screens, Hide the Google Search Bar, Change icon size and lots more. 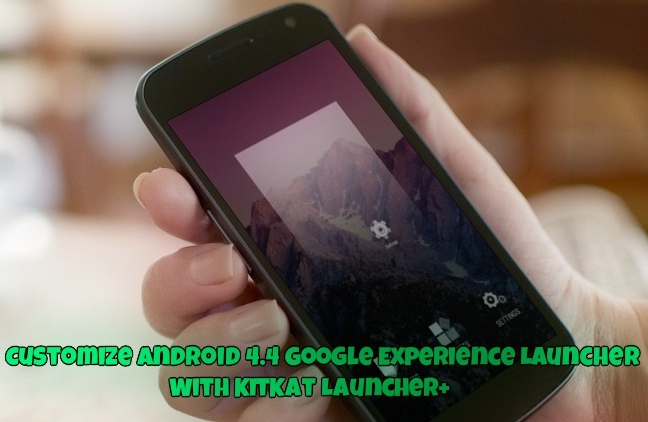 Open the Google Play store application on your android powered device and search for the KitKat Launcher+ and install it. You can find the direct download link at the end of this guide. Once the app is installed, Long press on an empty place on one of your homescreens and choose settings. On the setting page you can fin lots of option like Hide Google Search Bar, Grid Size, Number of Screens, Home Button Action, Backup and Restore etc. From this page you can make change on your launches as per your need. Remember some feature will works only on the Android 4.4 powered devices like transparent notification bar. And one more thing, in this launcher you can use the Google Now command like “Okay Google”. the reason is the source code is maintained by Google and not publicly available.